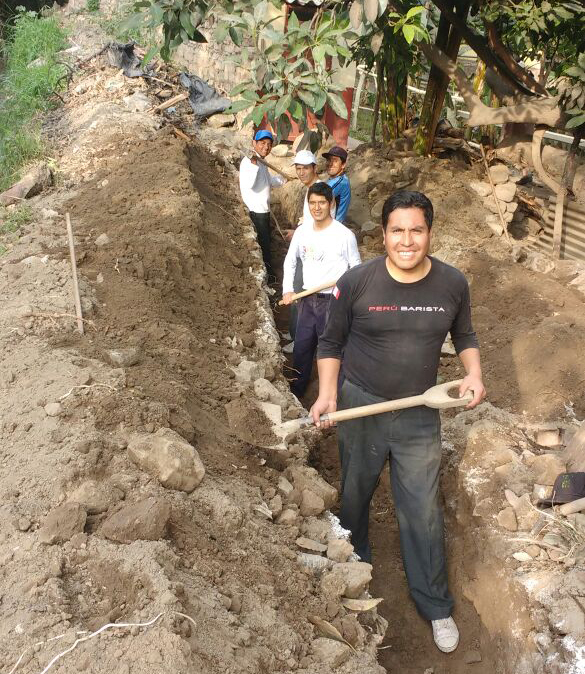 Rebuilding and renovating the churches affected by the floods and landslides in Peru. PERU—Floods and landslides devastated Peru early in 2017. Unfortunately, our brethren and churches were affected. The church in Zaña had to be completely rebuilt, and other churches had to be considerably renovated. The need was so urgent, that the Welfare Department sent out an appeal to the brethren around the world for assistance. Since then, the department director has been following the progress. Churches are being rebuilt, as well as a retaining wall for future protection. The families that were directly affected (some lost everything) were also assisted. Below are pictures of the progress of rebuilding the churches in Zaña, Santa Eulália, and Cojal. Let us keep these building projects in our prayers, and May God bless His work and people in Peru.